For over 67 years, medical specialists across the world have turned to the Physicians Desk Reference (PDR) as the authoritative source of information on drugs and prescribed substances. 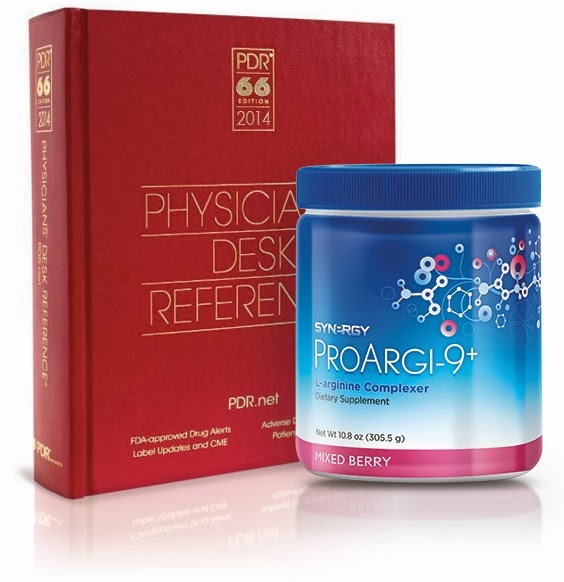 Synergy is pleased to announce that ProArgi-9+ will be included in the 2014 edition of the PDR, providing a new opportunity for people to discover the tremendous benefits of our best-selling product. Found in virtually every physician’s office, pharmacy, clinic and library, no medical reference is more current, more recognized, or more respected. The PDR contains label information, dosage instructions, images and more. Note: The 2014 Edition of the Physicians Desk Reference containing information about ProArgi-9+ will be made available this December in both digital and physical versions.